There is no shortage of fun things to do at Treasure Lake. Check out our links above to the Happenings and/or Calendar to find something right for you! 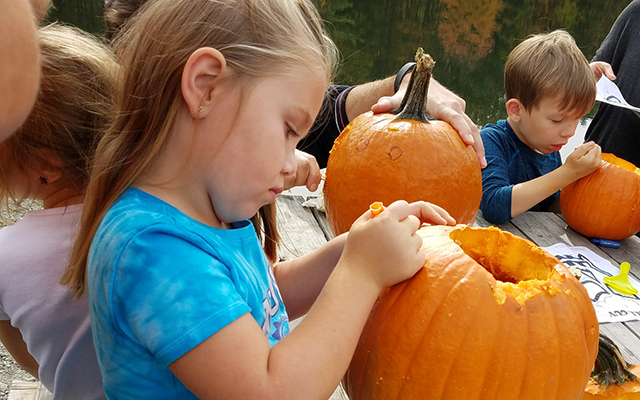 One of the most enjoyable aspects of life at Treasure Lake is the large number of year-round special events that are available across a wide range of interests. With a full-time recreation department and several active venues, opportunities and special events abound! You will enjoy special food events and dinner buffets for holidays and Sunday brunches at our various food and beverage amenities. Live musical entertainment is available on Fridays, year-round. Events of all types abound at Treasure Lake: the annual Spring Gala kicks off the new spring season each year with great food, music and dancing. Treasure Lake host a massive fireworks display, an annual Car Show, Wine Tasting events, a massive Labor Day event, Autumn Festival, Adult Halloween Party, a Halloween Ghost Walk, Christmas Craft show, New Year’s Eve Party at the Lakeview Lodge and Conference Center, Winterfest (and Polar Plunge! ), ping-pong, tennis and volleyball tournaments, and so much more. Hosted within the grounds of Treasure Lake are also outdoor Music Festivals that have hosted many big-name acts such as Charlie Daniels, George Thorogood, Three Dog Night, Rusted Root, .38 Special, Brett Michaels, Parmalee as well as many other great musical artists. There are countless opportunities for children, including many free outdoor-themed Junior Ranger programs to get the kids active, involved and informed. Also, we host special theme-based holiday events such as Easter Egg Hunts, Breakfast with Santa, Storytime with Mrs. Claus, a Halloween Ghost Hunt; these are just a few examples of what we have to provide entertainment as well as help to educate children. You can also find out about events via Facebook, our marquee at the front gate, our newsletters and our e-blasts. For news and updated information regarding Treasure Lake, use the links below. The Calendar is a comprehensive listing by date of everything related to Treasure Lake: music, dining, meetings, travel alerts and more. The Happenings section provides more detail in article form related to specific events at Treasure Lake. Click HERE if you would like to sign up for our Treasure Lake e-Blasts and keep current on what we’ve got for you. Our wonderful restaurants hosts live music entertainment each weekend. Currently on Friday evenings you can find the finest of local solo and duo acts performing at the Pirate’s Cove Bar within the Lakeview Lodge and Conference Center. Visit us and enjoy your meals and drinks in style! Among Treasure Lake’s recreational amenities are several sporting fields. 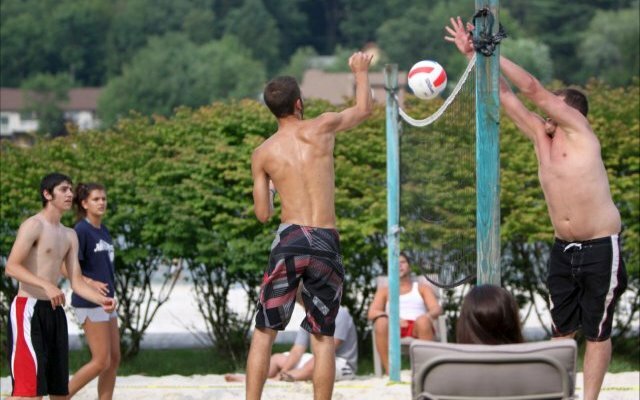 You’ll find beach volleyball courts at New Providence Beach and DuBois/Treasure Lake KOA, basketball courts across from the Ski Lodge and at Captain Kidd Park, a soccer field, a football field and a baseball diamond in close proximity to New Providence Beach (access at Wharf Road) and four clay tennis courts at the tennis facility on the shores of Treasure Lake. There is also a YMCA facility at Towne Center as well. In addition, Treasure Lake is open for water skiing and jet skiing, tubing, kayaking and fishing. Bimini Lake is limited to access for boats with motors of 9.9 hp or less. There is a shooting range accessible from Bay Road near our DuBois Treasure Lake KOA Campground. 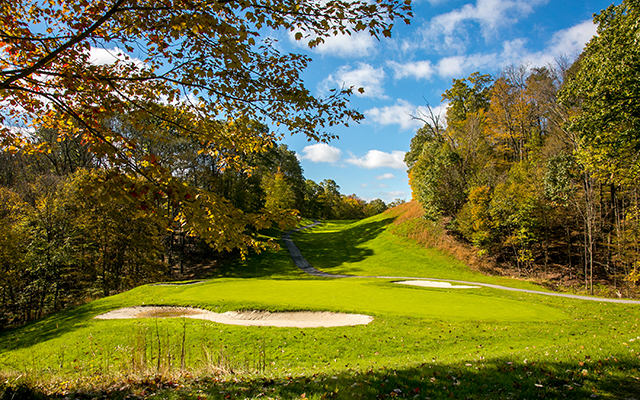 You’ll never be limited in your choice of sporting activities at Treasure Lake. Your kids will never feel left out at Treasure Lake. Our recreation, events and food/beverage staffs work diligently to provide fun activities all through the year for children. From nature themes, sporting events, seasonal activities, movie showings and more, we’ve can help keep your kids happy! Click our Calendar to see what we’ve got in the works for your children. Our Marketing Department with the help of our Managers at Treasure Lake assembles a bi-monthly newsletter we title “Treasure Chest”. Here you can find out about upcoming events, news relevant to property owners, specials taking place at our golf courses and restaurants, and other local advertising. Click here to view the current issue of Treasure Chest. There are many opportunities to become involved here at Treasure Lake. 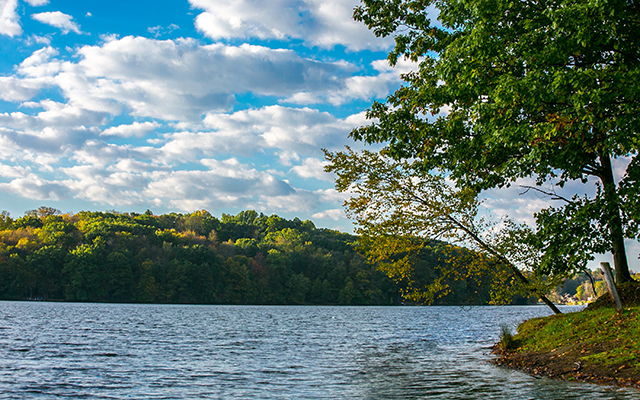 Hunting is available in the Pennsylvania State Gamelands, adjacent to Treasure Lake. Welcome to the Treasure Lake Wildlife Committee page. The Wildlife Committee was formed to address wildlife concerns and the growing over population of the deer herd in our suburban community. Treasure Lake property had not been hunted for some 40 years and as a result the deer herd grew out of control. The deer population causes extensive property damage in addition to severely degrading the forest that surrounds our property. Regeneration of trees and other plant life is nonexistent. The deer themselves also suffered. Many deer have died of starvation in the harsh winter months because no food was present. Property owner’s shrubbery soon became the target of starving deer. In the fall of 2006, the first archery management program was conducted in Treasure Lake with the approval of the Treasure Lake Board of Directors. This was the first step in controlling the deer herd within our community. In 2009, the Board of Directors approved an additional management program allowing flintlock primitive firearms. Because of the over population problem, Treasure Lake falls under the PA Game Commission’s DMAP program for herd control. An additional number of antlerless permits are available based on the management plan to control the deer herd. The Committee enlists the help of Penn State University’s Cooperative Extension Service to perform a pellet count and browse study every other year. This study projects herd size and area density which directs us in our harvest planning. This study is also a measurement of the effectiveness of the management hunts. Even though our goal is to control the deer herd; our primary concern is for the safety of the residents in Treasure Lake. Both management programs take place in pre determined areas of Treasure Lake. The flintlock program takes place in the most remote, secluded 1200 acres in the Lake. Specific participant rules are in place to ensure there are no hunter / resident conflicts. The Committee takes this responsibility very seriously. Management programs such as this require yearly participation and monitoring. This is the most cost effective and scientifically proven means to control an over population problem. The Committee is proud to say the cost to Treasure Lake residents is zero. With the support of the TLBOD and the residents of Treasure Lake we will continue to control the deer herd in our community. In addition to facilitating the management programs, the Wildlife Committee also assists the TLBOD with other concerns where wildlife is involved. The Committee would also like to remind residents that feeding deer and other wild animals in Treasure Lake is against the by-laws set forth. Feeders, salt blocks, mineral licks and similar feeding stations are not permitted and subject to a fine. These types of devices draw deer, bear and other animals to the residential areas. You may participate in both management programs. Applications MUST be received by July 30th in order to participate. See requirements below. The flintlock program is closed to non-residents. There are a limited number of spots available in the archery program. statement of your archery background. Year’s archery hunting, etc. You will be contacted if a spot is available. Below you will find the end of the year survey. You are required to complete the survey and return it via email by the end of March. The survey is required to participate the following year. The information helps direct us in our planning for the following year. and be in possession of the BHE card. You must complete a broadhead proficiency test prior to participation. approved areas and obtain DMAP applications. You must be a Treasure Lake property owner in good standing. You must complete a flintlock marksmanship exam. The Wildlife Committee was formed to address wildlife concerns and the overpopulation of the deer herd in our suburban community. Treasure Lake property had not been hunted for some 40 years and, as a result, the deer herd grew out of control. Deer overpopulation caused extensive property damage in addition to severe degradation of the forest that surrounds our property. Regeneration of trees and other plant life was nonexistent. The deer themselves also suffered. Many deer died of starvation in the harsh winter months because no food was present. Property owners’ shrubbery became the target of starving deer. In 2009, the Board of Directors approved an additional management program allowing flintlock primitive firearms. Because of the overpopulation problem, Treasure Lake falls under the PA Game Commission’s DMAP program for herd control. An additional number of antlerless permits are available based on the management plan to control the deer herd. The Wildlife Management Committee enlists the help of Penn State University’s Cooperative Extension Service to perform a pellet count and browse study every other year. This study projects herd size and area density, which directs us in our harvest planning. This study is also a measurement of the effectiveness of the management hunts. Even though our goal is to control the deer herd, our primary concern is for the safety of the residents in Treasure Lake. Both management programs take place in pre-determined areas of Treasure Lake. The flintlock program takes place in the most remote, secluded 1200 acres in the Lake. Specific participant rules are in place to ensure there are no hunter/resident conflicts. The Committee takes this responsibility very seriously. Management programs such as this require yearly participation and monitoring. This is the most cost effective and scientifically proven means to control an overpopulation problem. The Committee is proud to say the cost to Treasure Lake residents is zero. With the support of the Treasure Lake Board of Directors and the residents of Treasure Lake, we will continue to control the deer herd in our community. In addition to facilitating the management programs, the Wildlife Committee also assists the Treasure Lake Board of Directors with other concerns where wildlife is involved. If you have any questions concerning the Wildlife Committee or the management program, you may email questions to ajdsylvis@verizon.net. The Committee would also like to remind residents that feeding deer and other wild animals in Treasure Lake is against the bylaws set forth. Feeders, salt blocks, mineral licks and similar feeding stations are not permitted and subject to a fine. These types of devices draw deer, bear, and other animals to the residential areas. NEW AND PRIOR YEAR PARTICIPANTS (Treasure Lake Property Owners) Complete the application below. Copy and paste the completed application in an email and send it to this address: ajdsylvis@verizon.net. You may participate in both management programs. Applications MUST be received by July 30th in order to participate. See requirements below. NEW APPLICANTS (Non Property Owners) The flintlock program is closed to non-residents. There are a limited number of spots available in the archery program. To be considered for a spot, please email your name, address, phone number, and a brief statement of your archery background, years archery hunting, etc. You will be contacted if a spot is available. Email to: ajdsylvis@verizon.net. See requirements below. FOR PRIOR YEAR NON RESIDENT PARTICIPANTS: You will be contacted to complete an application. Participation in the program will be determined. Requirements to participate (Archery) 1) You must have completed a Bow Hunter Education program in PA or other state, and be in possession of the BHE card. 2) You must complete a broadhead proficiency test prior to participation. 3) You must attend an annual pre-hunt orientation to review the specific rules, approved areas, and obtain DMAP applications. 4) You must be a resident in good standing if you are a TL property owner. Nonresidents must have a property owner (in good standing) sign his/her application each year. Requirements to participate (Flintlock) 1) You must be a Treasure Lake property owner in good standing. 2) You must be a member, or join the Treasure Lake Sportsman’s Club, and complete the range safety course. (This is required to take the marksmanship exam) 3) You must complete a flintlock marksmanship exam. 4) You must attend an annual pre hunt orientation. You are required to complete the following survey at the end of each year. This survey is for both management hunts in Treasure Lake. Answer questions pertaining to your participation. Once you have completed the survey, attach and email it to ajdsylvis@verizon.net. The survey MUST be completed and received by March 31st. This is a REQUIREMENT for participation the following year. 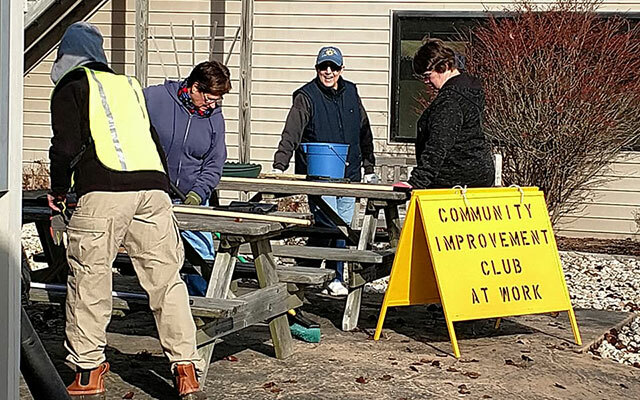 The Community Improvement Club (CIC) is a Treasure Lake affiliated club whose purpose is to enhance and improve the inherent attractiveness of our community by using the talents and energies of property owners. The focus of the club includes general clean-up and landscaping along with other small maintenance projects. The Treasure Lake Sportsmans Club is very involved in the Community including fish stocking and tournaments, environmental testing, shooting range management and hunter safety courses. Click here to display their website. The Ladies of the Lake is a social organization for women at Treasure Lake that was established in 1973. Each month, a luncheon is held at the Lakeview Lodge restaurant. Between 60 and 80 members meet the first Wednesday of each month at 11:30am for social hour, with lunch at noon. Dues are $10/year. All women are welcome. Please come and join us! Click here to display their Facebook Page. Treasure Lake is home to a very active Bridge Club. Club members meet several times a week to enjoy their games. Stitches Quilt Club offers quilters in Treasure Lake and the surrounding areas an opportunity to share their love of quilting every Monday afternoon from 1 p.m. to 4 p.m. at the TLPOA building. The first Saturday in November is set aside for the Annual Quilt Show, an event where projects of the year are displayed. The Quilt Show is open to the public. The Quilt Club’s goal is to promote Quilting in all forms. Whether you might be a beginner or an expert quilter, new members are always welcome. Whether you are a guest, snowbird, camper or year-round resident of Treasure Lake, join the Dubois/Treasure Lake KOA Campers Club! This club is open to all, regardless of age or camping experience. For more information call the KOA campground at (814) 913-1437. Treasure Lake Wildlife Committee was formed to address wildlife concerns and the growing over population of the deer herd in our suburban community.